Salon business pros will tell you that selling retail products is a brilliant way to increase revenue. Plus, if your clients use the professional products you recommend, they’re much more likely to be satisfied with their hair long-term. The reality is that you’re busy and you need to get clients in and out of your chair on schedule. And if you’re a solo artist, not only are you short on time, you’re short on space. But retailing can be done and should be done. Here are five retail-boosting ideas that can make all the difference in your product-selling efforts. Half the battle is getting a product into a client’s hands. Once she begins to see, feel and smell the item, her senses are already onboard, and her mind will probably follow suit. So hand her the shampoo, styling gel or hairspray you’re using on her hair, and while she’s holding it, give her an education on how to use the product. Even if you’re a tight-on-space solo artist, be sure to use every available square inch to display products. This sends the message that you’re in the retail business. Investigate clever shelving options. 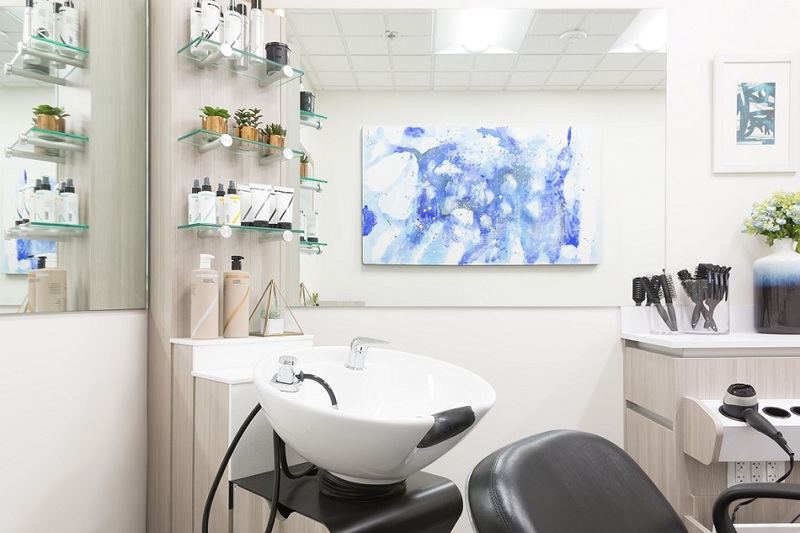 For example, Sola Salon Studios’ Peter G’ Hair Studio uses open, floating wall-mounted shelving and high, narrow étagères to display products. And don’t fall victim to the “museum mentality” of displaying one or two items as if they’re precious artifacts. Shoppers don’t feel comfortable taking the last item on the shelf so be sure to stock in multiples. If your budget doesn’t allow for lots of inventory, try Peter G’s strategy—he places three or four empty bottles behind each full bottle to make his shelves look filled. Because you don’t have the luxury of loads of space, it’s important to curate your inventory carefully. Think about the types of products most of your clients will want to buy and stock those. Work with distributors and manufacturers that offer flexible purchasing plans. And consider offering your clients e-commerce services so they can purchase products you may not be able to stock.